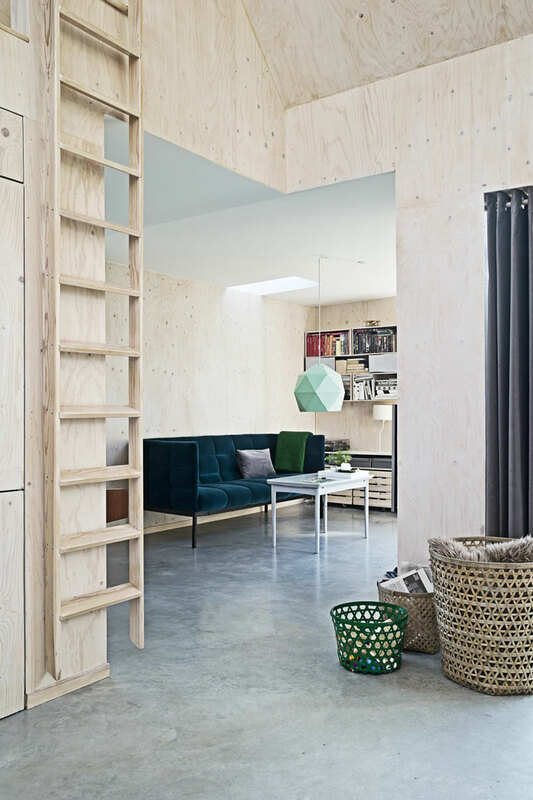 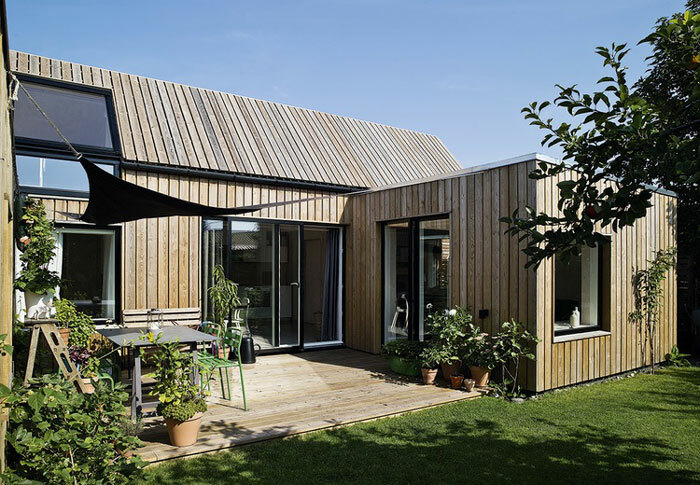 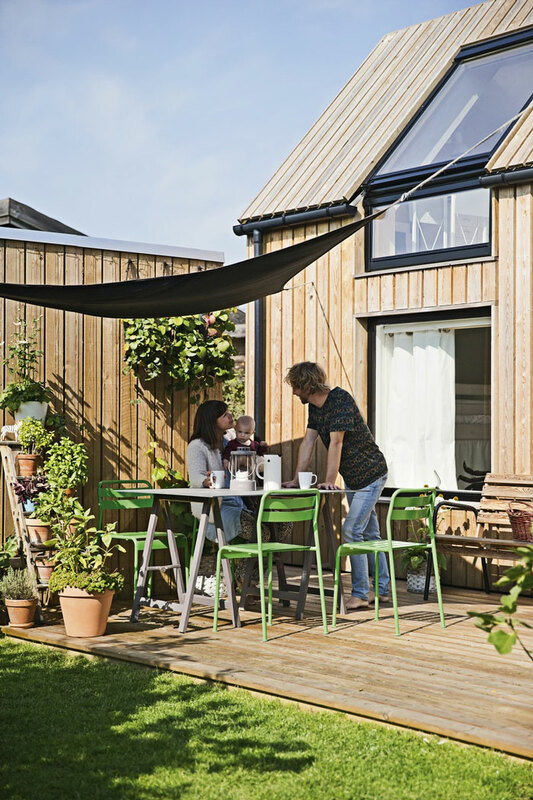 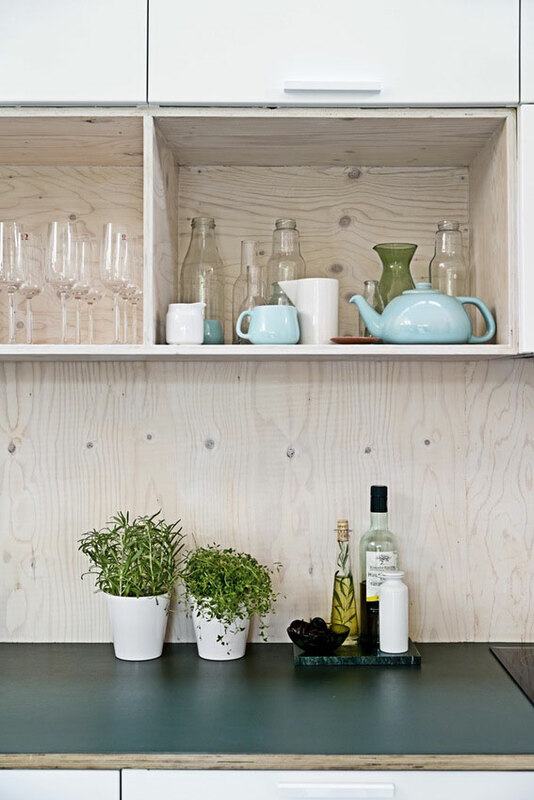 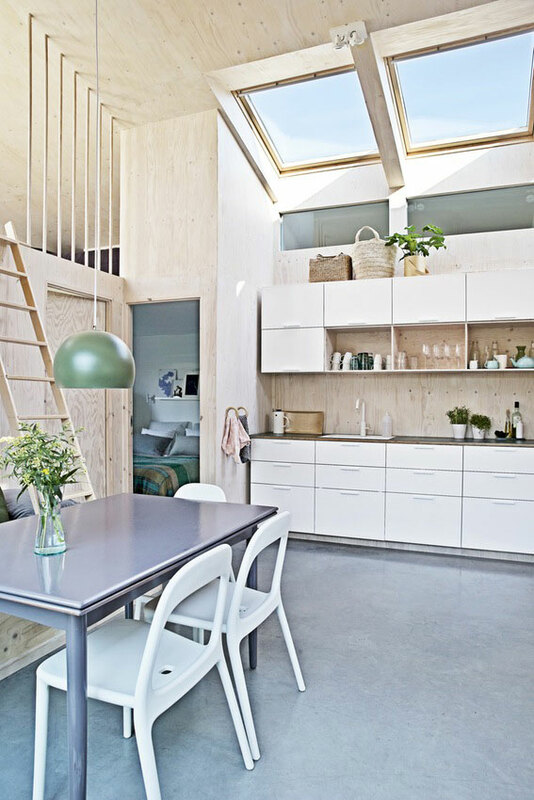 Designed and built by the owners, Linda and Mads Mathias, this home is located in an allotment garden on Amager island, Copenhagen. 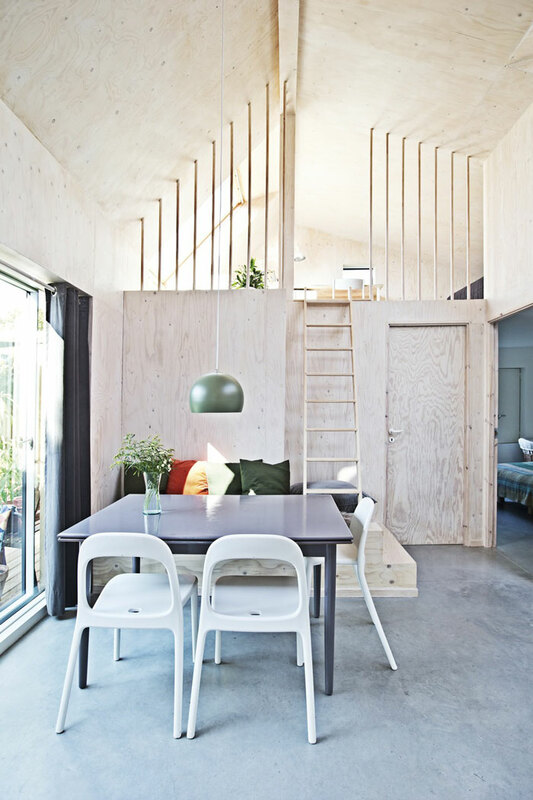 Tailored to meet the family’s need and love for wood, the small and functional house has a simple, geometric expression. 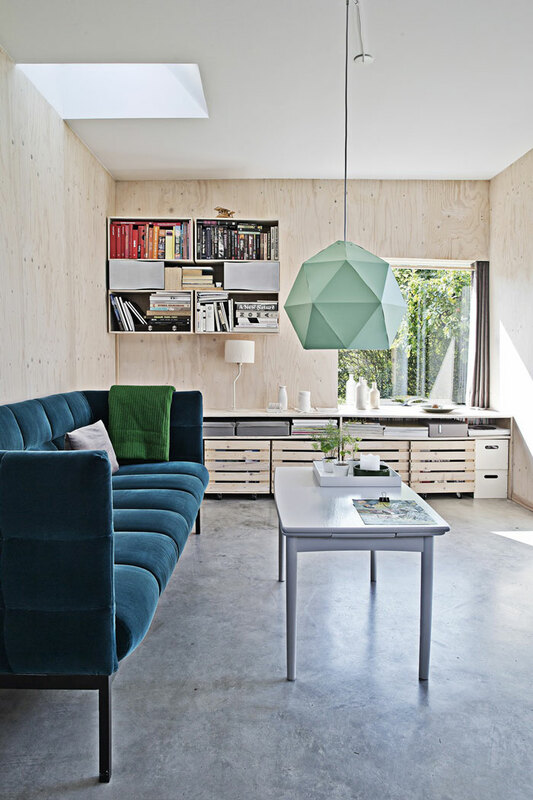 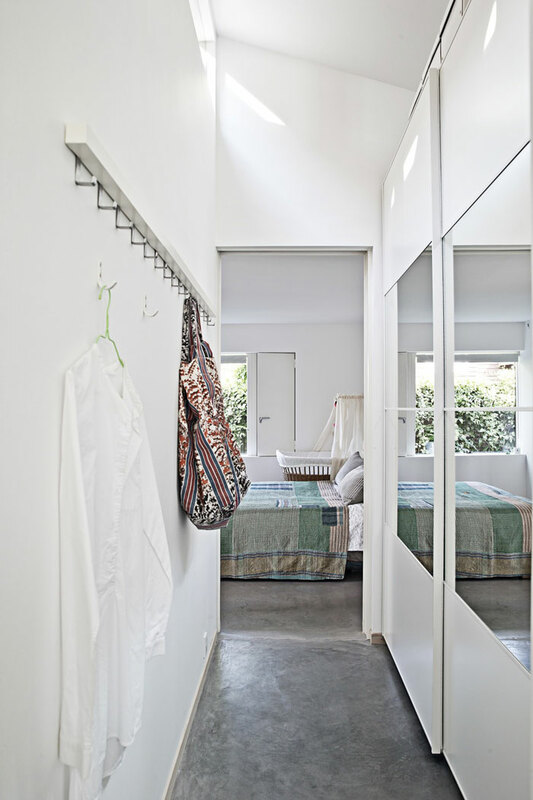 It has high ceilings and skylights that provide plenty of lights, and the concrete floor goes very well with the wooden walls. 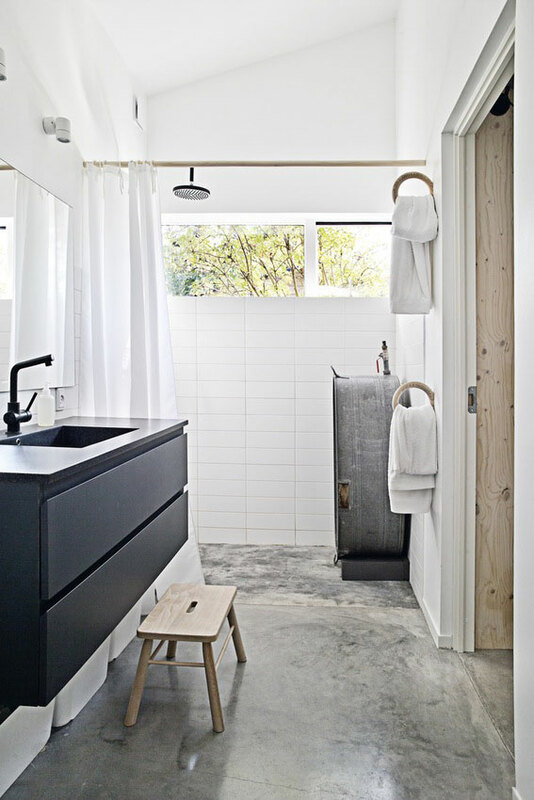 The atmosphere is intimate and cozy. 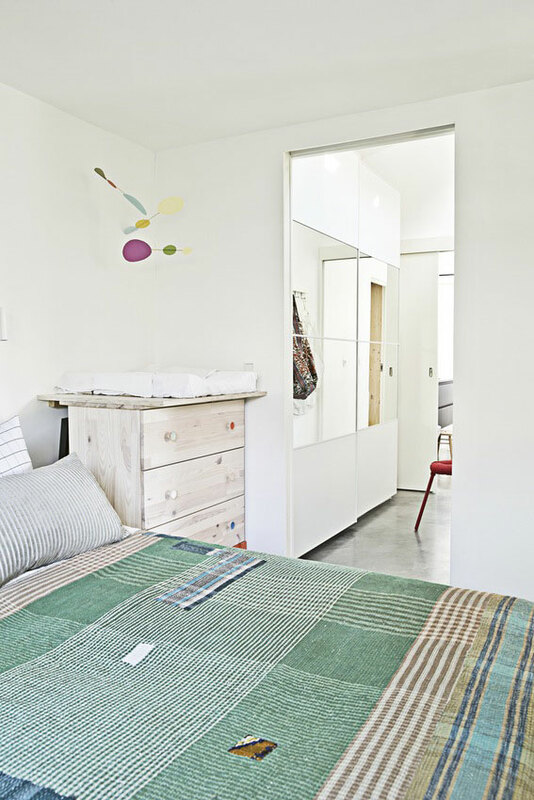 The place was beautifully styled by Rikke Graff Juel for the photo shoot. 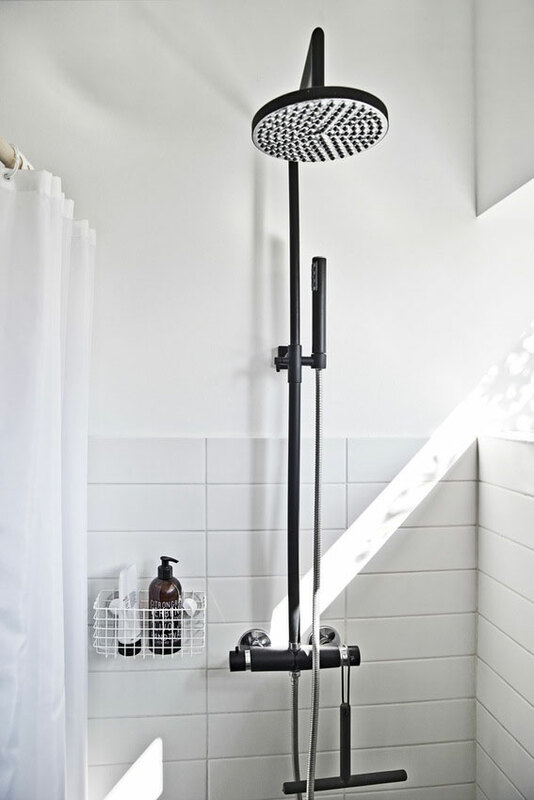 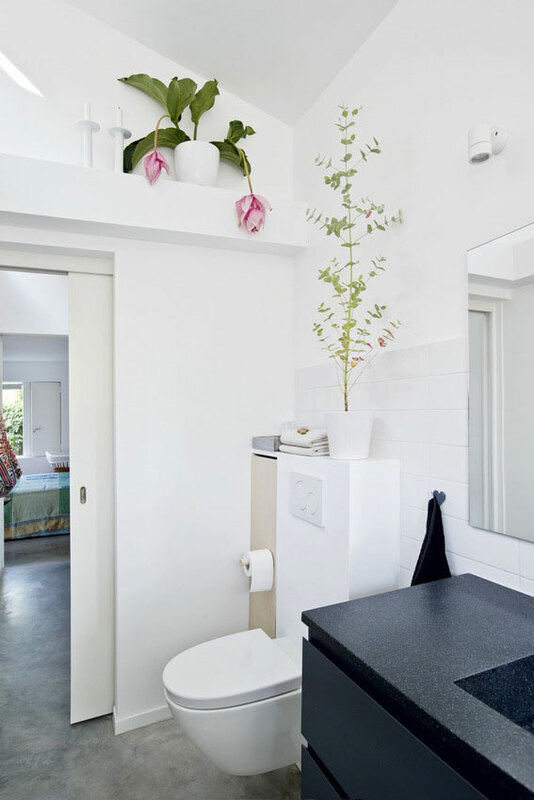 I’m loving the bathroom; it’s making me want to change my chrome faucet and shower head for black ones – Such a nice contrast with the while tiles!